I have another big stadium with a track to post today. This time it’s found in India. 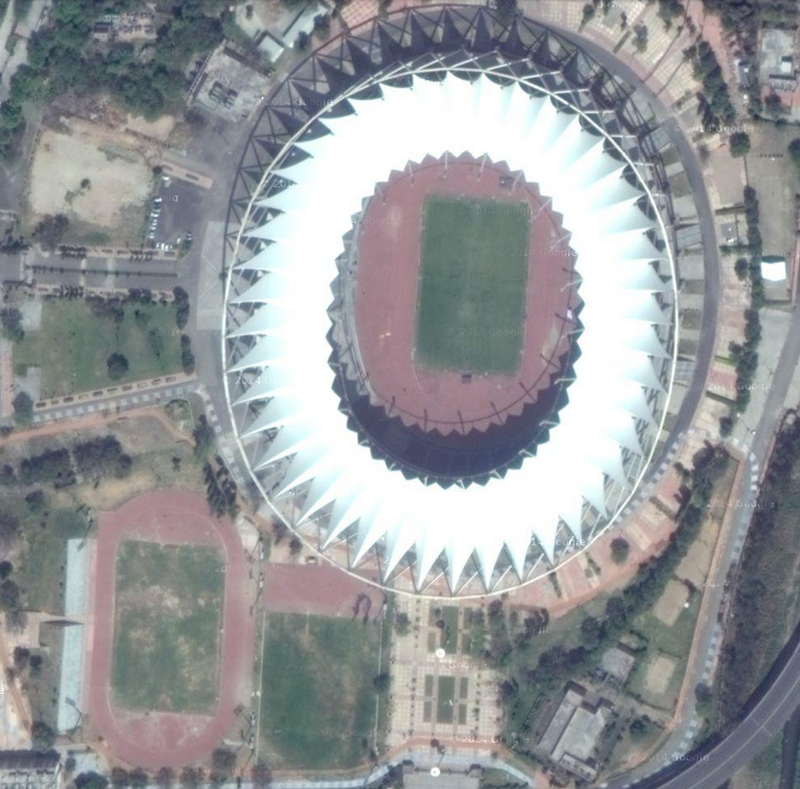 Jawaharlal Nehru Stadium is the fourth largest stadium in the country. It has seating for 60,254, which is a reduction from 78,000 which it had prior to a renovation done in preparation for hosting the 2010 Commonwealth Games. It has also hosted the Asian Games several times. For concerts it holds up to 100,000 people. The stadium opened in 1982.